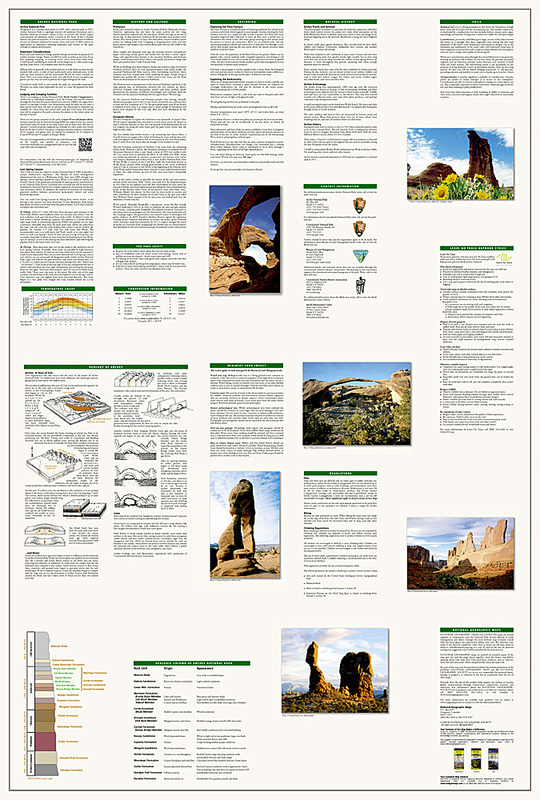 Arches National Park Map [ti211] - $10.95 : Trail Explorers Outpost, Keeping the Adventure Alive! With over 2,000 natural stone arches and hundreds of other extraordinary geological formations, Arches National Park is a red rock wonderland. National Geographic’s Trails Illustrated map of the park combines unmatched detail with helpful information to offer an invaluable tool for making the most of your visit to this iconic region. 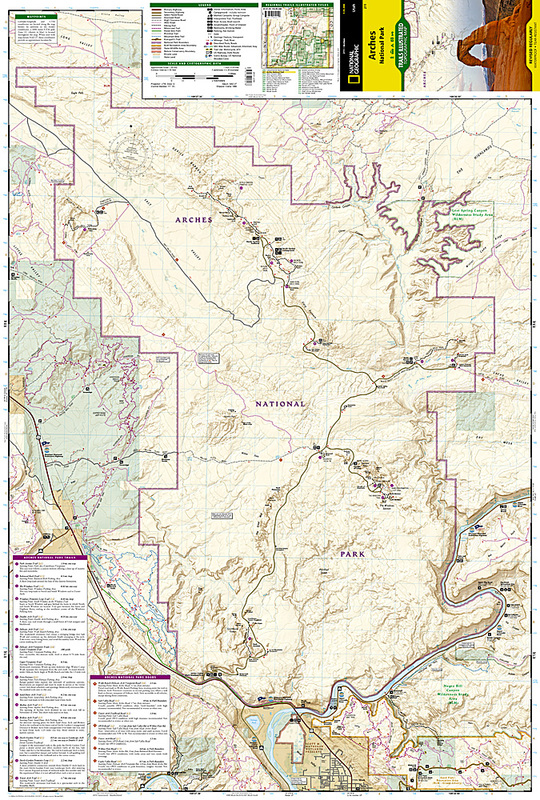 Created in partnership with local land management agencies, this expertly researched map features key areas of interest including Devils Garden, the Windows Section, Sand Flats Recreation Area, the Sovereign area, and Wolfe Ranch. The print version of the map includes fascinating information about the park’s geology, archeology, history, and culture, as well as contact information and regulations. The trails are clearly marked and mileage between intersections is provided. River mileage on the Colorado River is noted as well, for those exploring by boat. Trail and road summaries provide the location, starting point, duration, and difficulty for a variety of suggested routes. Mountain bike trails are color-coded based on degree of difficulty, and motorcycle and ATV trail use is clearly noted. The map base includes contour lines and elevations for summits. Some of the many recreation features include interpretive trails, campgrounds, river access, picnic areas, and points of interest. Other features found on this map include: Arches National Park, Salt Valley.